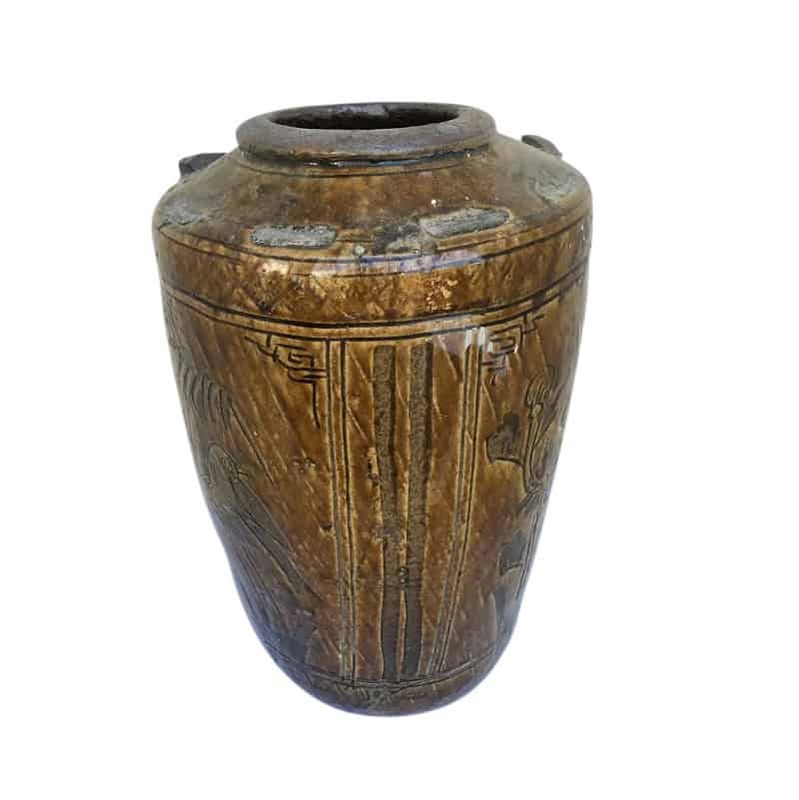 A cream glazed jar with glazed brown floral and bird decorations. 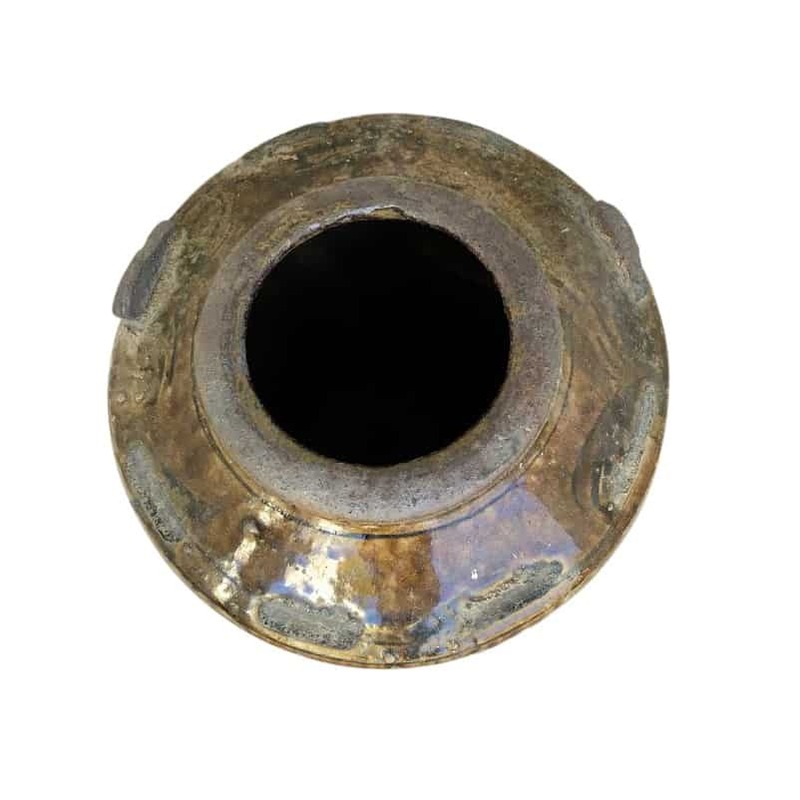 The Cizhou kiln was known for stoneware produced in the Hebei province, in northern China. 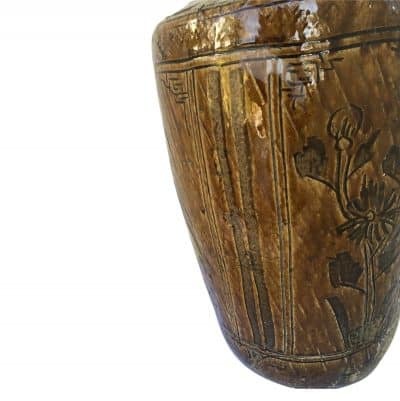 This handmade ceramic jar has natural accents and beautiful carvings that will add tradition to any decor or room.